Ios Greece has been the location for the filming of at least three movies that I know of. You can read more about them below. This Italian movie, also called Ginger and Cinnamon in English, was recorded in Ios during the summer of 2002. Many of the tourists on the island appear as extras in the movie. The film crew tried to close of parts of the the village during some nights as they made the movie. This was quite annoying to the tourists on the island as they where trying to have a good time in the bars and nightclubs. The movie is about a 14 year old girl and her aunt who travels to Ios after the aunt breaks up with here boyfriend. The young girl falls for a guy on the island but little does she know that that boy is her aunt’s former boyfriend. It is a comedy and well worth to watch for anyone who love Ios in Greece. The movie is filled with nice images from Ios and perfect to watch during the winter for anyone longing for another summer on Ios. 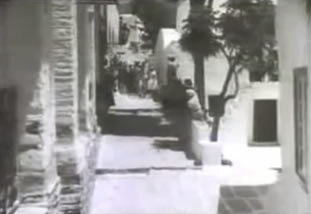 A classic Greek movie from 1962. It takes place on Ios but the island is called Eftychia in the movie. This is a magnificent movie for anyone interested in seeing what Ios looked like 50 years ago. It is filled with beautiful footage of this wonderful island in the Aegean sea that we all love so much. Especially the scene that take place outside the future location of Disco 69 is interesting to see for anyone spending their nights at that location these days. It has not changed much, only the tree by the wall has grown a lot, otherwise the spot is just as it is today. 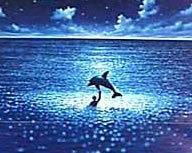 The movie is about a young man, Berry, who inherit a small island in Greece from his uncle. On Eftychia he meets Aliki and falls in love and by doing so he also rescues the island from tourist developers. At the same time he also discovers his uncle’s secret sauce recipe that was previously lost with his uncle. Aliki is played by the famous Greek actress Aliki Vouyouklaki and Berry is played by Jess Conrad. The English title of this French movie is The Big Blue and it is only some of the underwater scenes that were filmed on Ios. At Manganari beach to be more precise. The movie was made in the late 80’s and tells the story about two divers as both kids and later as grownups and how they dive in the Mediterranean sea. The movie stars Jean-Marc Barr, Rosanna Arquette and Jean Reno.